Electrovert has a long history of product and industry-wide successes. A leader in innovation and technology, Electrovert has issued over 400 patents. Many of these designs are industry standards and have become integral to the success of the world’s largest OEM and contract electronics manufacturers. 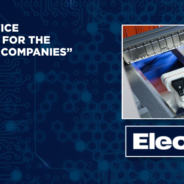 Electrovert’s award winning technologies include: DwellMax Plus and UltraFill nozzles for wave soldering; Intelligent Flux Control and IsoThermal Chamber Technology for reflow soldering; and Hurricane Jet and JIC spray technology for precision cleaning.